While preparing a more demanding project our main task at the moment is „location scouting“. We decided to use a Phantom 3 Pro for this task. We have different systems at our disposal but weight is the main factor. Camera quality is not awfully important for just finding the right location. As long as we can see our target area and some details about it from the air, everything will be fine. There are several problems we are facing. We will be working in mountainous terrain. We have to haul all equipment to every single location we will use for filming later on. To get to the first location from where the car is parked we will be hiking for 4-5 hrs. Because of the walking distance we have very limited flight time, we can not reload our batteries. You guessed it already we will be filming rock climbers. And because they are climbing steep walls part of their trip up the mountain will only be reachable by a flying cam. That alone is not worth writing about but having done two of those scouting trips made us think about the whole preparation and there are quite a few things we need to change from what we planned at first. Obviously safety is paramount, not only the safety of the climbers but also our own safety. After a 4-5 hrs hiking trip up the mountain we still need to be able to safely operate our copters. We will have at least two different copters on the mountain and we do have more than 10 years of experience flying all kinds of model helicopters in different scenarios. So flying skills will not be a problem but we need to plan enough time to rest when reaching our filming location in order to be able to operate the copters at the highest level of concentration possible. As everybody else at first we thought this being an easy job, just bring two copters, hike up a moderately difficult trail and then shoot the needed scenes before we walk down the mountain again and zip our Pina Colada at the end of the day. Not so. Everybody involved realized it is not that easy. Assuming there are no copters available then the script calls for a team effort at the bottom of the mountain, the start point of the climbers. While climbing the only real solution is a POV shot and then again a team effort when they reach the top. To shoot different camera angles in between you would need to mount a camera somewhere along the climbers route or bring extra camera personal climbing the mountain as well. Busts the budget with this project so no option. What it comes down to is the two copters will be doing the main camera work and because of this the script needs to be rewritten around those two flying cam rigs. And all of the sudden this calls for a very detailed preparation of both copter crews. Every little piece of equipment needs to be hauled up the mountain, this calls for a very detailed check list up front not to forget anything. Everything needed has to be on that list and needs to be ready. 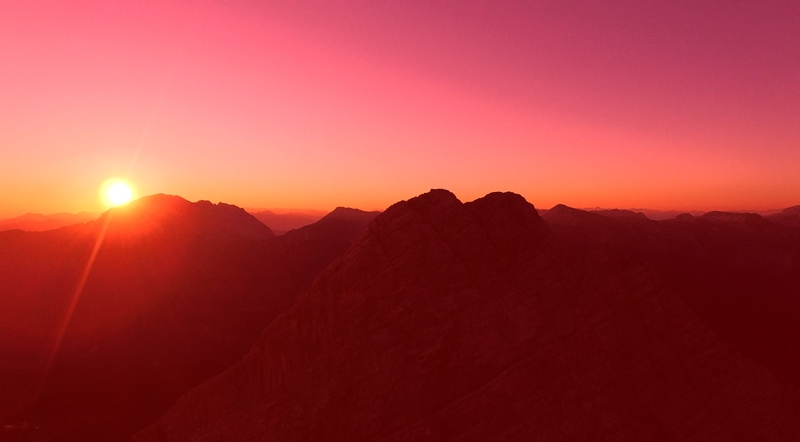 Since we will be hiking out at night time we won´t forget our head lamps but it is easy to forget sunglasses for flying later on and hiking back down again. It includes the batteries which will be the heaviest part of the package. We are not able to recharge these on scene. This is an important part because here the planning gets real detailed. Let´s say we have a total of 8 batteries we haul up the mountain and every single battery delivers a 15 min flight at the altitude we are planning for. Then we have a total flight time of 120 min totaled for both copters. Since both copters are in the air at the same time, flight time for recording gets reduced to a 60 min window. This has to be split into different locations. At this point we need to know the exact length of every scene that we have to record in order to know what can be done and what can be put down in the script. Since both copter cams have to record the majority of the climbing part, they basically tell the story, which means director and DoP have to walk both pilots through every step in the planning phase, since both will not be on the mountain with the pilots when shooting. This explains why we have to go up on several location scouting trips to see the light, the details of the climbing route, the location where the copters will take off and other things. Also both pilots are no trained rock climbers so with the equipment and staying on hiking trails they will probably be slower than the rock climbers on their route which means, either the climbers have to wait or they have to climb the wall a second time. 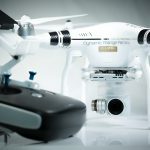 Phantom and Inspire are not able to do the job because of limitations Dji programmed into those machines, and the camera quality (Mainly the built in sharpening). Also we found that both machines have difficulties picking up satellites when in between rock formations at higher altitudes and without enough satellites they will not even start, so both are no option for us. Another problem is that the inspire cannot be folded and its form factor will be too big to stow. The only solution would be packing phantoms but then again we would have to stick to its camera. Therefore we will be using highly customized Black Snappers for the job. These machines can be folded to a size where they can easily be stowed in a regular backpack. We can also pack regular batteries so we decide the size of the battery not the manufacturer. Both are equipped with Zenmuse and GoPro Hero 4 which will give us more headroom for post than the P3 cam will. Even though every scene needs to be planned ahead obviously we also need to spare some flying time to precisely position both copters for a scene and then reposition. We also have to plan for repetition so again the 60 min flying window gets further reduced. While on the location scouting trips we also need to establish flight altitudes, corridors and distances between both copters to avoid any potential problems and collisions between the copters. Because of all the planning involved, filming rock climbers using quadrocopters is not that easy, especially when they do the majority of the filming. Pilots and Cam Operators have to be very experienced, they need to be exactly briefed on what to film and where. To get the shots right there is quite a bit of setup flights involved which means a lot of hiking when the take off point is somewhere on the mountain. So for us there is quite a lot to learn and we keep on hiking up the mountain.